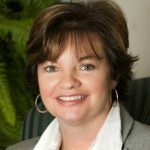 Cheryl Monahan is a CPA and the owner of Accounting & Business Solutions, LLC — an accounting and QuickBooks consulting firm that specializes in assisting small businesses. Her services include accounting, bookkeeping, payroll, CFO/Controllership, and QuickBooks setup, training, and support. Work For Accounting & Business Solutions, LLC? Claim This Page.